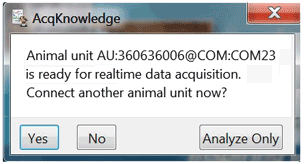 AcqKnowledge: Multi-Animal, Multi-Channel simultaneous automated data analysis. Stellar Analysis routine extracts mean values and standard deviations from data segments…Powerful automated routines for EEG, seizure detection, EMG, ECG, HRV, EOG, EGG, and dozens more…results are easily exported to Excel for further statistical analysis. 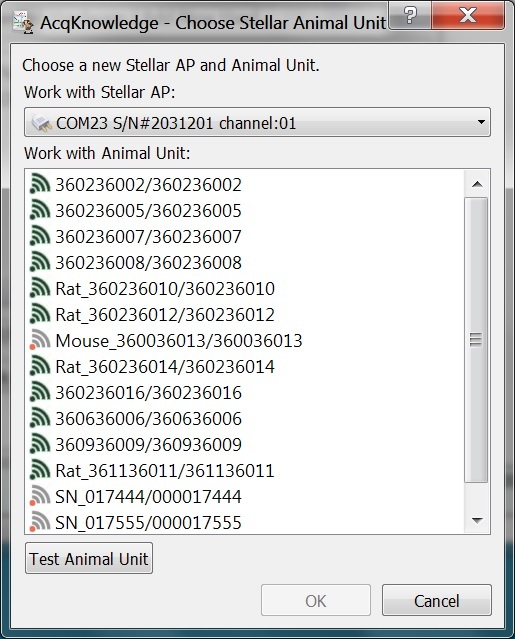 Use the power of AcqKnowledge Software for seamless integration of animal scheduling, telemetry data recording, video monitoring, and fully automated signal analysis for a variety of physiological signal types. 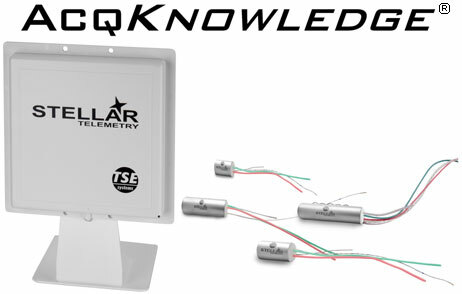 AcqKnowledge includes a fully automated analysis package for Stellar telemetry data. Use the included tools to customize your data view and easily select which channels of data you would like to see. View a subset of animals, or a subset of signals (e.g. 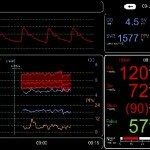 BP, ECG) with the click of a button. Use the Stellar Analysis routine to extract the mean measures of each signal (e.g. mean systolic, diastolic, HR, temp) for each recorded data segment along with standard deviation values. 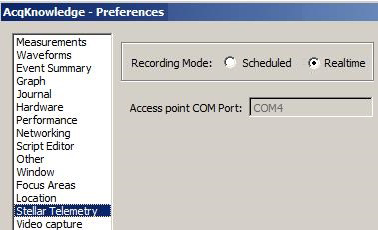 Customize the output by selecting only the measures you are interested in. Results are automatically exported to Excel for further review. BIOPAC Basic Scripting license enables additional customization and automation options for analysis routines. 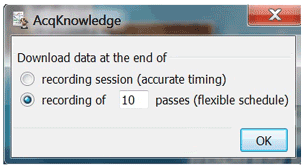 Additional automated routines and scripting options are also available in AcqKnowledge and cover a wide range of signals including Blood Pressure, ECG, EEG, EMG, EOG, Temperature, Respiration, and more.